In the Paper # 72 we have also discussed the Monmatia sun – Urantia planet “mind-age” evolution. The term “mind-age” used here relates to the mind age of the Andronover planets settled in time and space responding to, i.e. sympathetically interfering with, the Nebadonia’s seven Adjutant Mind Spirits (Picture 2 A-C), beginning with the First Adjutant Mind Spirit of INTUITION, which are Electro-Magnetically INDucing (E-M-IND) the sympathetic responses in the central chakras/vortexes of the physical energy PUMA (Physical UltiMate Atom) bodies. 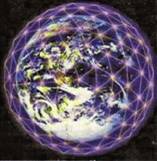 dimensional extension of your ability to perceive and understand how things work. “There is a popular saying that all matter-realized energy has a mind (E-M-IND, awareness, consciousness). 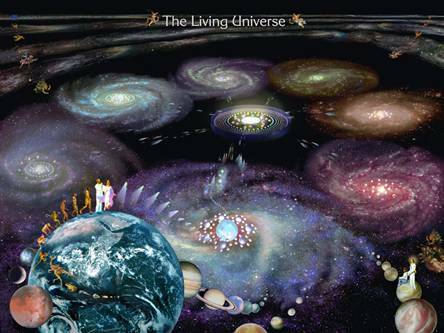 - forever fixed in the planets and their physical living beings, how would these universe phenomena be explained in simple terms? The morontial local universe Salvington’s “Four Beings”power center, the four compass/time directional control vortex creatures, in their fine-tuning of the Andronover nebula physical vortex disc appear as in Picture 2 and are presented as super-imposed over the Andronover’s physical nebula hemispheric vortex disc four quadrants in Picture 3. While initiating the Andronover nebular CCW vortex spin the Male and Female MFOs face each other (as the energy mirror images, enantiomers). The initiated physical A-nebular vortex by them has therefore within its vortex disc their enantiomorphic M-F charge and polarity vortex energy characteristics where the MFOs Male Left and Right and Female Right and Left halves make the four quadrants of the Andronover’s hemispheric disc. - Enantiomeric (mirror image) positions of M-F MFOs facing each other (like two dancers). - Andronover’s CCW spin/rotation of both Male and Female MFOs pair. - Left Male:Right Female and Right Male:Left Female nebular ARMS formation (see Papers 68 and 69 re:comments made about the Hubble’s nebula classification). - Inherent Dominant CW rotation of the Male MFO and inherent Dominant CCW rotation of the Female MFO within their CCW Andronover nebular vortex spin. 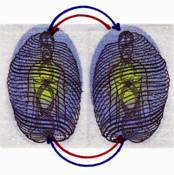 - Inherent dominant MFO CW rotation of its Left vortex half and CCW rotation of its Right vortex Half and the mirror image rotations of its Female MFO counterpart halves thus forming in their MFO A-hemispheric vortex disc the four mirror image quadrants. 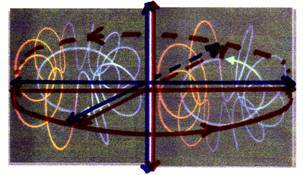 Upon withdrawal of the M-F MFOs from the initiated A-vortex (see above) the fine tuning of each of the four energy quadrants of the A-vortex, i.e. Male Left and Right and Female Right and Left quadrant vortexes, was taken over by the Salvington’s morontial “Four Beings” power center. The above Andronover’s electro-magnetic energy properties are passed down to its spun-off suns and their evolutionary planets and their PUMA/ANU-mal life, fine-tuning and aligning them with the rest of the Christ Michael -Nebadonia morontial mind local universe of Nebadon in the ascension of its Life in the universe Light.